You may be wondering “What is Home Automation Control?” Home Automation Control provides a single system that controls all other systems in your home. Those systems may include lighting, climate control, home security, irrigation systems, audio/video systems and others. These separate systems can all be controlled from a single interface. Home Automation Control systems are fully customized to fit any home, providing you with the freedom and convenience you want and need. The results are an integrated reliable system that will provide convenience and complete control of your entire home or office. It is stunning how life has changed throughout the years. From a button on the TV to switch between programs, to a touch pad that controls your lights and shading. Theater One enjoys making people’s life easier by providing a single elegant control interface that lets you enjoy consistent experiences across multiple, easy to use devices such as a hand held remote control, in-wall touch panels or your personal tablet or phone. Imagine a home automation system that intuitively caters to your personal preferences, keeping your family comfortable while you conserve. From lighting, shades and climate control to music throughout indoor and outdoor spaces, we can help create your perfect environment. Home Automation Control systems offer virtually limitless options to deliver your content while remaining elegant and effortless to use. Whether you’re selecting different music for each room or playing your favorite concert throughout your entire home, we make it easy. While movie watchers are immersed in a total home theater experience, your favorite music can fill the family room and kitchen or sit down for the evening news in your study. Multiple TVs can also be linked, playing independent content in each room, sharing the same media, or any mix in between. 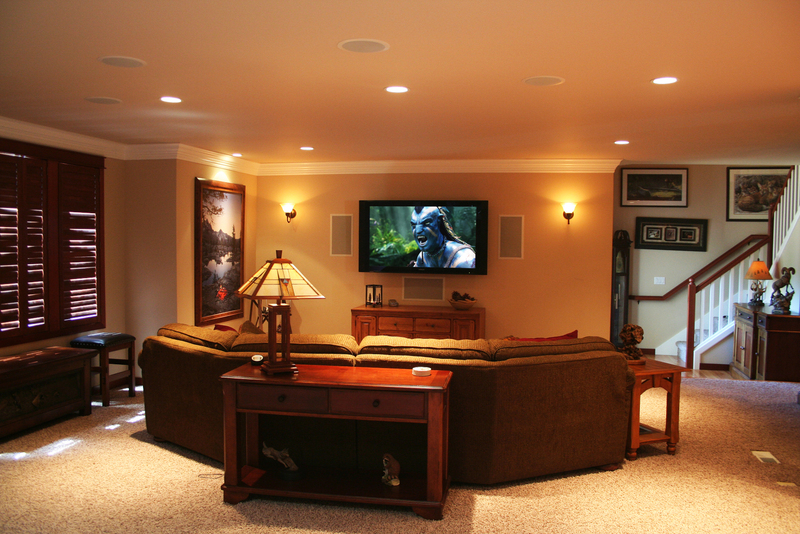 Home Automation Control systems can be personalized to your needs. A Home Automation Control system will keep your home comfortable and energy-smart without a second thought. Intelligent features automatically anticipate your needs for indoor temperatures, managing shades, heating or cooling systems. Remote access also helps you heat and cool more efficiently, turning off systems from your smartphone or tablet if you’ll be away for longer than expected. A Home Automation Control system can also provide a detailed history of your energy consumption, enabling you to monitor usage and make informed decisions without opening a single utility bill.! We provide security and surveillance that is fully integrated with your home automation system that in the event of an alarm can be programmed to turn on all the lights, alert police and fire department, and notify you via your smart devices. Coming home after dark? Your system can keep you feeling safe by activating an illuminated path from driveway to door. Want to make sure the house is secure at night? With just a single touch of a button, you can turn off the lights, ensure the garage is closed, doors are locked, and your security system is activated. With the convenience of remote access, you can receive alerts, arm, or disarm the system from your mobile device—whether you’re at home or a thousand miles away.